Greg Harriott was just trying to film an interview with a horse breeder. 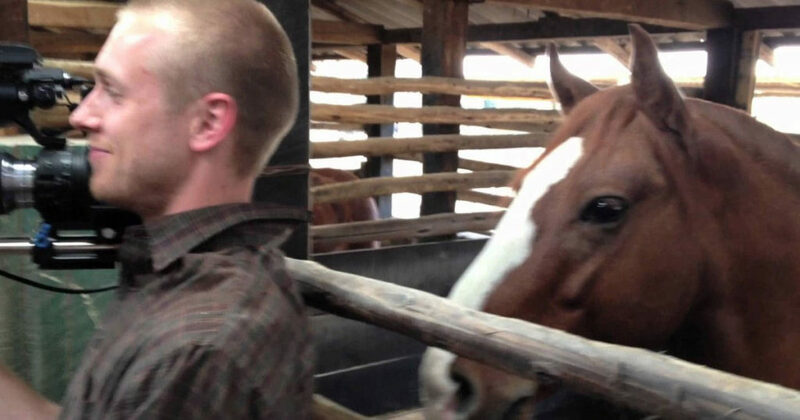 Seconds later, another camera captures what the horse behind him does. Watch as he tries his very best to stay composed in this hilarious situation. 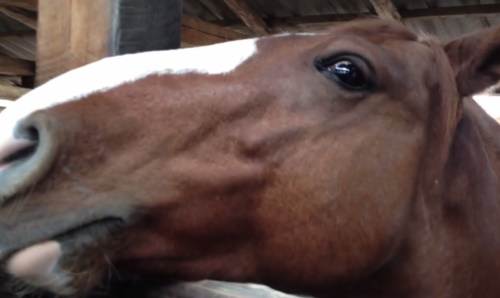 It turns out horses aren’t just elegant and gracious, but they are very curious too. Well, at least judging from this horse who wanted to meet and play with a cameraman at the worst time possible. When Greg Harriott arrived at the ranch near Santiago, Chile, he knew he would be surrounded by horses, but didn’t expect to become friends with one particularly playful stallion. Greg was about to film the interview with the horse breeder for the show “Born to Explore with Richard Wiese” so he did his best to find the perfect location. He got the lighting right, found a perfect angle, and turned his camera on, but he obviously forgot one thing; the horse whose stable he was standing in front of. And as it turned out, this horse didn’t want his view to be interrupted, so he got closer to inspect this person who dared to block it. The interview was going great, so Greg didn’t want to turn the camera off, although he knew the lovely horse was behind his back eagerly waiting for him to finish doing what he was doing so that they could play. Poor Greg was stuck in that awkward situation where he had to choose to stay professional till the end, or turn his head around and see what this horse up to. He still opts for finishing shooting before meeting the horse, but that wasn’t as simple as it sounds. Take a look at the video below and see how Greg is forced to stay focused on his job. This is truly hilarious.